ZIMBABWEAN clergyman, Pastor Evan Mawarire on Monday 25 September 2017 pleaded not guilty to charges of subverting constitutional government as his trial commenced before High Court Judge Justice Priscilla Chigumba. The 40 year-old clergyman, who is represented by Harrison Nkomo of Zimbabwe Lawyers for Human Rights, was arrested in July 2016 and in January 2017 and charged with two counts of subverting constitutional government as defined in section 22 (2) (a) of the Criminal Law (Codification and Reform) Act, Chapter 9:23 or alternatively incitement to commit public violence as defined in section 187 (1) (a) as read with Section 36 (1) (a) of the Criminal Law (Codification and Reform) Act, Chapter 9:23. 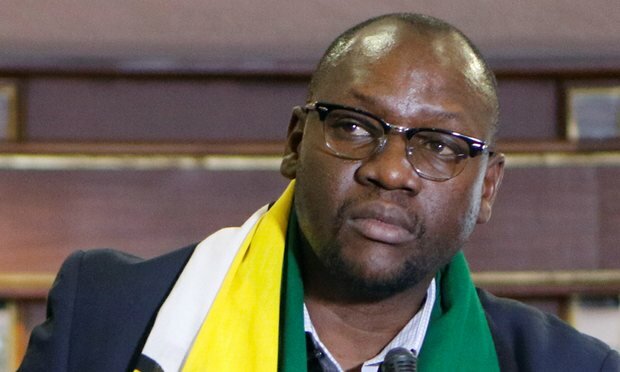 The National Prosecuting Authority (NPA) represented by Chris Mutangadura claimed that Pastor Mawarire incited Zimbabweans from “all walks of life” to revolt and overthrow a constitutionally elected government. The NPA has lined up eight witnesses who include Crispen Makedenge, Innocent Chipangura, Patrick Romeo Moyo, Lawrence Njodzi, Marshal Dube, Jeremiah Murenje, Edmore Runganga and Mavhira Richard Mhlanga to testify against Pastor Mawarire. Meanwhile, Pastor Mawarire is yet to appear at the Harare Magistrates Court for initial remand in relation to the fresh charge of subverting constitutional government of which he was charged for after he was arrested on Sunday 24 September 2017 for allegedly circulating a video on social media on Saturday 23 September 2017 protesting against the country’s agonising economic crisis.